Each episode in the Holy Moly Easter Story Collection helps kids explore more of the amazing story of Jesus' death and resurrection. 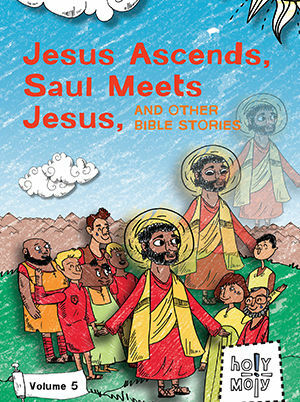 In addition to “Jesus Enters Jerusalem” and “The Last Supper” this volume includes episodes covering “Jesus and the Cross” and “The Empty Tomb.” The imaginative visuals and humorous sound effects give kids the opportunity to retell the story in their own words and bring the Bible to life like never before. Each volume helps kids explore more of God's awesome story. 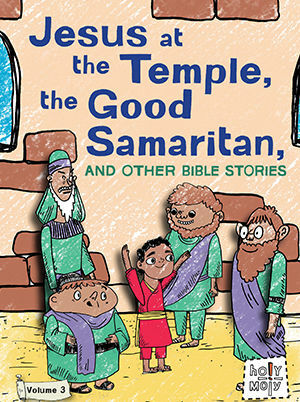 In addition to “Jesus at the Temple” and “The Good Samaritan,” this volume includes episodes covering New Testament stories such as “John the Baptist,” “Jesus Calms the Storm,” and “The Parable of the Good Samaritan.” Imaginative visuals and humorous sound effects give kids the opportunity to retell the story in their own words and bring the Bible to life. 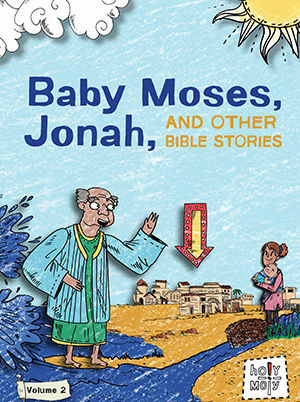 The Holy Moly shows corresponds with two Holy Moly Bible Storybooks that burst with engaging illustrations. Each volume helps kids explore more of God's awesome story. 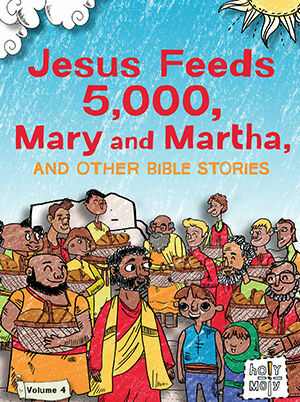 In addition to “Jesus Feeds 5,000” and “Mary and Martha,” this volume includes episodes covering New Testament stories such as “Jesus Walks on Water,” “Lazarus is Healed,” and “Zacchaeus the Tax Collector.” Imaginative visuals and humorous sound effects give kids the opportunity to retell the story in their own words and bring the Bible to life. Each Holy Moly show corresponds with two Holy Moly Bible Storybooks that burst with engaging illustrations. Each volume helps kids explore more of God's awesome story. 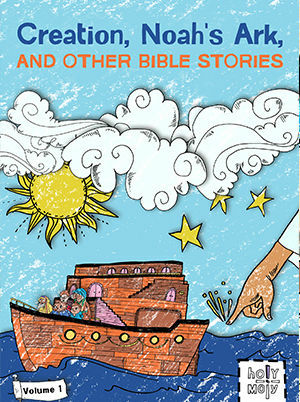 In addition to “Thomas Believes” and “The Road to Emmaus,” this volume includes episodes covering New Testament stories such as “Philip and the Ethiopian,” “Peter Raises Tabitha,” and “Paul and Silas.” Imaginative visuals and humorous sound effects give kids the opportunity to retell the story in their own words and bring the Bible to life. Each Holy Moly episodes goes with two Holy Moly Bible Storybooks that burst with engaging illustrations. Each episode in the Holy Moly Christmas Story Collection helps kids explore more of the awesome story of how Jesus came into our world. 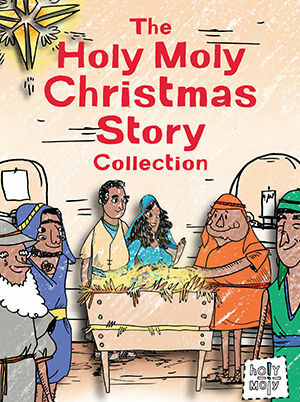 In addition to “The Angel Speaks to Mary” and “Jesus is Born” this volume includes episodes covering Christmas stories such as “Mary and Elizabeth” and “The Magi Follow the Star.” The imaginative visuals and humorous sound effects give kids the opportunity to retell the story in their own words and bring the Bible to life like never before.